BioWare revealed through the senior development director, Chris Wynn, new information about Mass Effect: Andromeda. Wynn gave details about the story and gameplay, in addition to stating that the company does not intend to show gameplay video soon. One of the points discussed were the characters of other games, in addition to the combat in the new. According to the director in response to a fan on Twitter, the fight will shape similar to that of Mass Effect 3, but with new elements to make it dynamic. In terms of history, the new game will not feature familiar faces from previous games. And as said before, Commander Shepard will not be in the new game. Still, when asked if minor characters from other games could appear in Mass Effect: Andromeda, Wynn said it’s too early to tell, since not all the characters defined yet. Despite all this, the director says that fans of the original trilogy still feel at home. “There are several connections that are not characters. Races, things like Mako. Fans will feel at home”, said Wynn. Other details revealed in the new game include possibility of new races and possible absence of competitive multiplayer, both of which have not yet been confirmed. BioWare is currently in the process of hiring actors for dubbing. 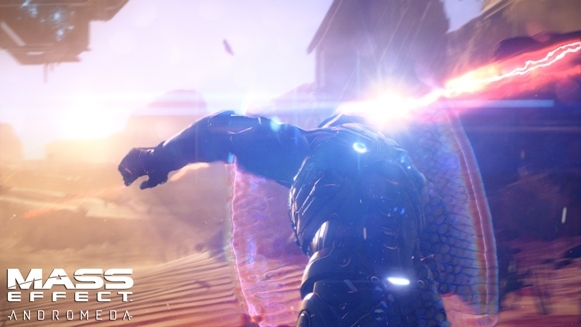 Mass Effect: Andromeda will be released for PC, PlayStation 4 and Xbox One at the end of 2016.